While it’s a tad early to be referring to the season as spring, the New York Yankees are out and about at their minor league complex. Spring training is right around the corner and star slugger Aaron Judge has already gotten a jump on his pre-season batting practice. Reports have indicated that Judge has already crushed his first homer of the year. Man, what a sentence. That must really elevate your already ecstatic mind. Aaron Judge taking batting practice today at #Yankees camp. Judge spent a few weeks injured in 2018 with a fractured right wrist after being plunked with a fastball. His presence was certainly missed, and a clean bill of health will represent an opportunity for him to take his game to another level in the year ahead. I mean, it’s not like he doesn’t already have his own bleacher in the outfield dedicated to worshipping his existence. The Yankees will look to rely on their slugger more-so than ever in a season that’s clearly being considered a “win now” one. The allocation of money towards bolstering the bullpen and solidifying the infield defense will present a more well-rounded team that can increase the probability of a World Series appearance. 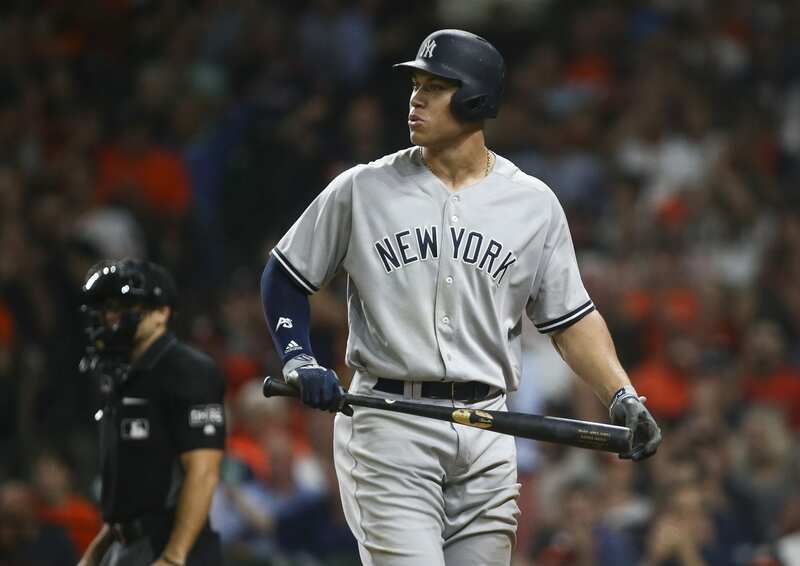 How did Aaron Judge perform for the Yankees last season? In 112 games last year, Judge earned 413 at-bats hitting 27 homers and 67 RBIs. Those numbers are solid, but they aren’t what he’s capable of. In 2017, he smacked 52 balls out of the park and finished with a .284 batting average. If he can remain healthy, I would expect him to hit a minimum of 40 homers and 90 RBIs. If he can develop his self-control a bit more and cut down on the strikeouts, we could be in for one of the more productive hitting seasons for a Yankees player in recent history. But, again, it all comes down to his strikeout totals and if he can hit for contact on the pitches he once struck out on.